Geochemical Perspectives Letters is a registered trademark of the European Association of Geochemistry. Periodicity: Articles are published online as soon as accepted and typeset, then assembled into volumes. Each volume is made up of 10 articles. Geochemical Perspectives Letters is an open access, internationally peer-reviewed journal that publishes short, highest-quality articles spanning geochemical sciences. The journal aims at rapid publication of the most novel research in geochemistry with a focus on outstanding quality, international importance, originality, and stimulating new developments across the vast array of geochemical disciplines. Geochemical Perspectives Letters is published by the European Association of Geochemistry (EAG), a society that was officially established in 1985 with the goal of promoting geochemistry internationally and in particular providing a forum for the presentation of geochemistry, exchange of ideas, publications and recognition of scientific excellence. Articles are made available on this platform in html and pdf formats (the first three volumes of Geochemical Perspectives Letters were also published in print version). All articles are fully open access as defined in the Open Access Policy below. Articles are published online as soon as accepted and typeset. Each article is assigned a unique CrossRef DOI (Digital Object Identifier) and a dedicated page on the Geochemical Perspectives Letters website. Articles should not exceed 3000 words including abstract, text, figure captions and reference list, and should contain no more than 4 figures/tables. Supplementary Information can also be included and will be made available for download from the article webpage. See Information for Authors for additional information. Comments on published articles may be submitted, to which the author of the original article will be invited to reply. See Information for Authors for details. Pending approval and instruction by the editor, any post-publication corrections to the article requested by the author may be published as a corrigendum (correction of error introduced by the author) or erratum (correction of error introduced by the publisher). 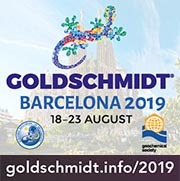 Published articles, comments and replies are shared through e-Alerts and are included in the monthly EAG Newsletter sent to over 10 000 geochemists, who are EAG members and attendees of the Goldschmidt conferences. Geochemical Perspectives Letters an open access journal which means that all content is freely available without charge to the user or his/her institution. Users are allowed to read, download, copy, distribute, print, search, or link to the full texts of the articles, or use them for any other lawful purpose, without asking prior permission from the publisher or the author. This is in accordance with the Budapest Open Access Initiative definition of open access. 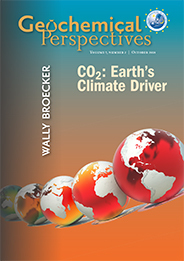 Articles are available immediately upon publication on the Geochemical Perspectives Letters website. Authors are not required to pay any fee to submit an article to Geochemical Perspectives Letters. There are currently no compulsory article processing charges for publication in Geochemical Perspectives Letters. However, upon acceptance of an article for publication, authors are invited to make a voluntary Open Access Contribution of 1250 euros, which will be used to support the publication expenses. In cases where funding bodies or institutions make funds available for publishing in open access journals, we strongly encourage authors to opt for the Open Access Contribution. To help authors, we have assembled a list of institutions and organisations that we are aware have established funds to support open access publication. As Geochemical Perspectives Letters is a community-journal fully run and funded by the European Association of Geochemistry, a non-profit organisation, we welcome donations from anyone who wishes to support the publication. Donations can be made online here. Authors retain full copyright of their article and grant EAG a license to publish the original article upon acceptance, and license to reproduce, distribute, display or store the material in all formats and all media. On acceptance for publication, authors are given the option to distribute their article under one of two types of Creative Commons license: the Creative Commons Attribution Non-Commercial No-Derivatives 4.0 License (CC BY-NC-ND 4.0) or the Creative Commons Attribution 4.0 License (CC BY 4.0). Further details are available on the Copyright and Permissions page. As copyright remains with the authors, under both licenses, authors may archive the article on their own website or in a subject or institutional repository from the date of its publication, provided a link to the original article is included. Once an article has been published on the Geochemical Perspectives Letters website, authors are likewise free to publish their material elsewhere. In such cases, a link to the url of the original publication should be included. After submission of an article, an editor is assigned to handle the manuscript. The editor is selected according to the area of expertise. See the current Editorial Board. The duties and responsibilities of the editors are detailed in the Publication Ethics and Publication Malpractice Policy. Peer review is an integral part of the publication process, ensuring the accuracy and quality of the published articles. Articles are first reviewed by the editor assigned to handle the submission. The editor may reject an article out of hand either because it does not deal with the subject matter of the journal or because it is manifestly of such low quality so that it cannot be considered at all. Articles that are considered suitable for review are typically sent to at least two external and independent experts in the field of the paper, and where necessary the editor shall seek additional opinions. The editor shall review all disclosures of potential conflicts of interest and suggestions for self-citation made by reviewers in order to determine whether there is any potential for bias. The editor shall ensure that the peer review process is fair, unbiased, and timely. As a publisher, the European Association of Geochemistry fully supports the highest standards of ethical behaviour in publishing and takes all possible measures against publication malpractice. Full details of the standards we commit to upholding are available in our Publication Ethics and Malpractice Policy. All issues of Geochemical Perspectives Letters are available on the journal website. Published articles are archived on the EAG Server. Manuscripts should be submitted through our online submission tool.